Rock chip damage on your car’s windshield is a problem you must have rectified quickly, especially if the mark is in the driver’s line of vision. If you don’t get it fixed, the chip will spread and threaten the integrity of your glass. At Superior Mobile Auto Glass we provide high-quality auto glass repair service as well as guaranteed customer satisfaction. Our team of mobile technicians can be anywhere within the Las Vegas area quickly so make sure we are top of your list to contact when you need work carried out. Auto glass crack repair and rock chip repair are two of the services we are called on to perform most often. Don’t leave a cracked windshield, call us right away so we can get it fixed. If the damage is allowed to worsen, it could put you and your passengers in danger. No other auto glass repair company in the area has anything like the experience we have. Our company was established in 1967. So we have more than half a century of dealing with glass repair and replacement work in and near Las Vegas. During that time, we have built up a reputation that is second to none. We will fix all windshield cracks and you will be impressed at how fair and reasonable our windshield chip repair cost is. As a family owned and operated firm, we believe in keeping our charges to a minimum, and that is why many loyal customers come back to us time and again. 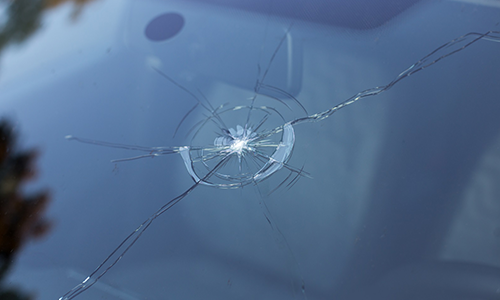 For all your windshield crack repair and rock chip repair services, call us on (702) 706-0716. We have mobile experts who will be with you in no time and get the work done efficiently.